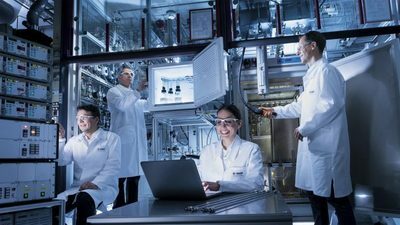 Ludwigshafen, Germany - QURIOSITY is the most powerful computer in the chemical industry worldwide. The BASF supercomputer is intended to find new chemical compounds and products that would otherwise remain undiscovered. 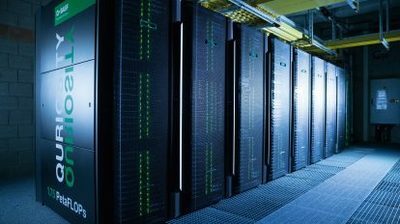 The brand-new supercomputer, QURIOSITY, can perform 1.75 quadrillion calculations per second - an achievement that really heats up the hardware. In all, the 18 giant racks have the capacity of around 50,000 laptops - which would make QURIOSITY's cables overheat and its components melt if it were not for its sophisticated air-water cooling system. The BASF supercomputer is intended to find new chemical compounds and products that would otherwise remain undiscovered. QURIOSITY is the most powerful computer in the chemical industry worldwide. But it can do even more than that. The brand-new supercomputer, QURIOSITY, can perform 1.75 quadrillion calculations per second – an achievement that really heats up the hardware. “The waste heat from one rack alone could heat two houses,” says Stephan Schenk, PhD, Team Leader High Performance Computing & Databases at BASF, half with a smile and half with respect. Stephan Schenk, PhD, (left) and Marcel Michael at the commissioning of QURIOSITY. In all, the 18 giant racks have the capacity of around 50,000 laptops – which would make QURIOSITY’s cables overheat and its components melt if it were not for its sophisticated air-water cooling system. 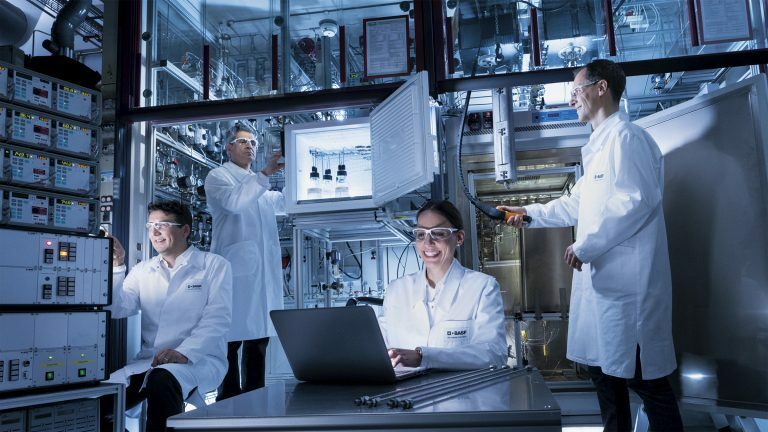 It is connected to the BASF Verbund, an intelligent production system connecting all BASF plants at a site, which already plays a important role in cooling production facilities. “Electricity and cooling are the big challenges that still impose limits on supercomputers,” Schenk says. The new super brain can provide about 10 times the computing power that was possible at BASF until now. It is by far the biggest computer in the chemical industry. Its planning, too, went quickly. “In September 2016, our requirements for our supercomputer were clear, and we launched the tender soon after that,” Schenk says. At that time, the experts at Hewlett Packard Enterprise (HPE) were already in the process of developing a new generation of supercomputers. In December 2016, BASF and HPE signed a contract under which BASF would receive the first new-generation supercomputer. In the subsequent months, HPE in Texas got down to the practical work of creating BASF’s supercomputer. The right hardware and software architecture was sketched out on flip charts standing meters high and the first models were made out of foam and cardboard until, finally, the components of QURIOSITY were assembled in the computer racks of a Houston factory hall as big as a soccer field. After successful performance measurements, the supercomputer was then delivered to Ludwigshafen, Germany, in July 2017. Researchers and developers in particular were waiting eagerly for QURIOSITY – with its concentrated computing power and fed with the right information, the supercomputer can help to evaluate complicated models. In the future, QURIOSITY is intended to help with tasks like calculating new molecular compounds in a very short time. BASF researchers will be able to use it to find out what happens when variables in a chemical compound change, and then to test the new compounds in laboratory experiments. It is intended that, by simulating chemical processes, the supercomputer will reveal completely new possibilities that were previously considered impossible theoretically or on a laboratory scale. Already today, there are indications of the potential of such huge computing power when computer simulations support laboratory experiments. For example, BASF was looking for an existing active agent in a soluble form for a crop protection product. Instead of performing thousands of experiments, they fed a large number of possible structures into a computer, which derived suggestions for experiments from that information. The best hundred found their way to the laboratory. This was not merely faster but also more successful. “In that way, we found products we would not have discovered otherwise,” Schenk says. The supercomputer is also intended to help a scaleup – the step from making something in the laboratory to getting it to production scale – to happen more quickly in the future. The problem here is that chemicals behave completely differently in the laboratory and in a production reactor. BASF researchers were able to represent these changes by means of complex computer simulations. “This saved us needing to build a pilot plant,” Schenk says. At the same time, QURIOSITY can also be used as an optimizer in production. Thanks to this digital computing genius, data from everyday operations and those relating to price and business cycle trends can be pulled together, enabling facilities to be more efficiently run. Maintenance dates can be predicted before damage occurs, and raw materials and energy can be made available with even greater precision. Martin Brudermüller, PhD, Vice Chairman of the Board of Executive Directors and Chief Technology Officer at BASF. 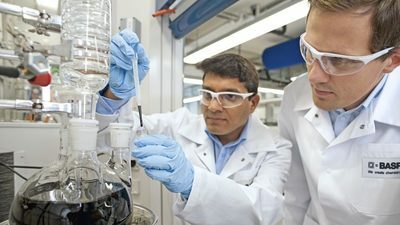 “The supercomputer is a tool that can provide valuable support in many parts of BASF, from research and development to production and logistics and new digital business models,” says Martin Brudermüller, PhD, Vice Chairman of the Board of Executive Directors and Chief Technology Officer at BASF. This means that the energy costs when the brain of the computer heats up again are a good investment. The high-performance computer at TU Dresden, Germany, fills a whole hall of its own. Its peak performance is more than 1.5 quadrillion computing operations per second.